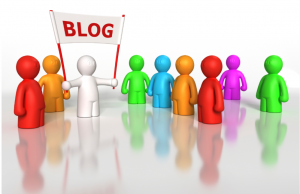 The basically simple act of posting on your blog or other blogs can do powerful things for your business. But your action might not be so effective if you don’t utilize certain ideas. There are many things to consider when writing content but the tips below will give you a good start to getting the maximum response from your post. 1. Visual Content – Statistics say that if your post contains visual content, it will grab 94% more visits and engagement than those without. That is reason enough to start including videos and other visual content in your posts. The brain is automatically drawn more to images than to text. 2. Short Paragraphs – The amount of videos and other visuals used in marketing today is one of the reasons you need to keep your paragraphs short. You need plenty of white space to avoid long drawn out paragraphs. Large blocks of text will not draw much attention to your post. 3. Keywords – One of the most responsive ways to use keywords is adding them to your post title. Do not go crazy with the keywords. Use just a couple of keyword phrases throughout your post without sacrificing readability. Use the phrases in the very beginning, a couple of times throughout and then again at the end. Be sure to read up on keyword stuffing to prevent being penalized. 4. Subscription Forms Available – Having a subscription form available after every post will increase the chances of a person taking that action and subscribing to your list. Once you capture that person’s email, the chances of retaining them as a customer is greatly increased. 5. Headings and Bulleted Lists – People tend to scan over posts looking for pertinent information. Using headings and bulleted or numbered lists will draw a person’s eye to that information. Headings are also important for SEO as you can utilize your keyword phrases in the headings. With the ability to scan and find the pertinent information quickly, a person will more likely keep reading the article and respond to it. 6. Link to Previous or Similar Content – By doing this, not only will you provide your reader with more helpful information, you will have a linking structure which would probably get Google’s attention and raise your ranking. 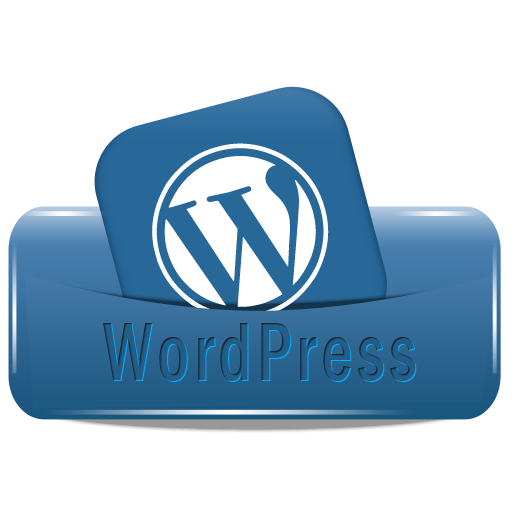 WordPress also has related content plugins available so you do not have to do this manually. 7. Write to a Friend – Do not write your post like a college dissertation. Make it friendly and easy to understand. Write as if you are having a conversation with a friend. This manner of writing will be more appealing to most people and encourage interaction. 8. Avoid Clutter – Keep your site clean and sharp. As with the large blocks of text, if there is too much “stuff” to wade through, it will discourage people from staying at your site or taking the time to read your posts. Do not overdo on the ads. Don’t fill your site with banners, lights and flash. Keep it simple and to the point. 9. Ask Questions – A good way to get people to participate in your post is by asking questions or asking for opinions and thoughts. Most people enjoy offering their views and beliefs on most matters. Whether they agree with you or not, you want people to engage in your post. 10. Social Media – Always provide buttons to your social media sites. Give people the call to action to follow you via social media. Getting social (don’t forget Google+) can get your site indexed much quicker. 11. Fast Loading Time – I know with a WordPress blog and all the cool widgets and plugins they offer, it can be easy to get your site bogged down. Be sure to just use what you need so your pages will load quickly. Too many widgets and plugins can have the opposite effect for which you are looking. There are some plugins available which can help maximize your loading time. A few examples are: Advanced Lazy Load, Super Cache, and WP Optimize. 12. Tell Stories – People love a good story. We relate to the people in that story and what happens to them. Using them in your post can certainly raise the chances of people not only reading the post but participating as well. 13. Linking Structure – A good linking structure could improve your search engine ranking dramatically. It can also decrease your bounce rate substantially. Within your blog posts link to similar relevant information but do not use the ever famous, click here. If you are writing about collectible dolls, rather than using, “Click here for more information”, you would use something like, “collectible dolls,” and link to that keyword phrase. Using anchor text, as it is called is much more effective than using click here. 14. SEO Plugin – Although you do not want to get bogged down with too many plugins and widgets, there are some that do provide essential functions. Be sure to get a good SEO plugin to add to your site to increase your site efficiency. One of the best WP plugins for SEO efficiency is All in One SEO Pack. 15. Polls, Surveys & Contests – Oh my! If you want to get your blog readers to engage and participate on your site, then polls, surveys and contests are three good ways to accomplish this. People love winning so holding regular weekly or monthly contests is a great way to get response. As I mentioned before, people love to give their opinions on things so surveys and polls can inspire a lot of interaction as well. Offer a gift as incentive for even more contributions.